It’s here! The first of our much anticipated new products The 334 Color Swatch Book! Swatch books are now available to ship! 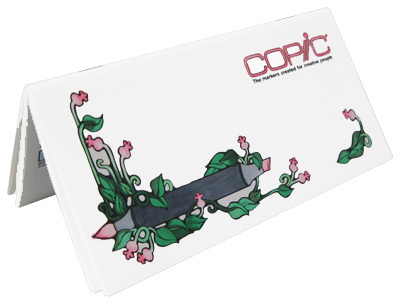 Copic lovers have been requesting a product like this for some time and we were so excited to get our hands on one that we went ahead and filled up our entire book! Each book is white with a customizable cover. 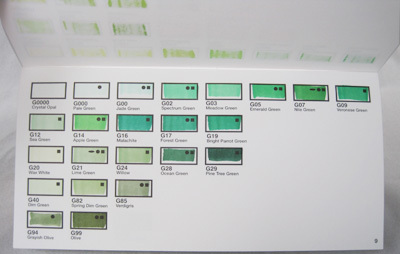 As previously mentioned, the swatch book is organized by color family and includes a color chart for easy reference. An extra thick flap ensures colors don’t bleed through to the next page and includes easy use instructions. We’ve gotten great feedback from users so far and hope those who get their hands on them soon will be just as pleased! Stay tuned for updates on our Double Sided X-Press It Tape, X-Press It Mask It Tape and our X-Press IT Blending Card Paper! After several attempts, I finally gave up on trying to scan my color book. 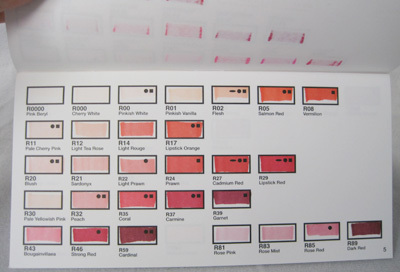 I was hoping to add the swatch book that I completely filled, all 334 colors, on our All About Copic section, but with my Epson scanner I'm not getting anywhere near the color that’s in my swatch book. I was hoping with the swatch book our customers can have a good view of what the colors will look like on the paper and be able to have a better comparison between all the colors. Does anyone have any suggestion of how I should scan it? 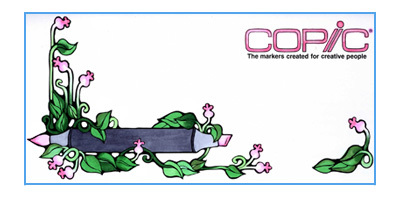 I will try to work on this later this month and hopefully be able to add it to our All About Copic section. Thank you for reading. Since I can't scan it, I thought why not take a picture so here it is. are you able to ship these little swatch books to the UK? Several of my friends would like to order one so perhaps we could club together to cover the cost of shipping, in which case what would be the minimum number to order at any one time? Yes, we can ship this to the UK. Please let us know how many you would like to order and possibly we can try to see if it will fit in the Priority mail flat rate envelope which we will only charge $14.99. Thank you and we apologize for the late response. I want to know the model of your scanner, so I can think of something to help you on the scanning process! ^___^ Send me an e-mail to the one registered on icopic.com and I'll reply as soon as possible! I would like to know if I can send you some of my works. I would love to share them and maybe exchange info on how to use the markers and stuff.